If you’re looking for one modern-day Canadian who can stand tall in his boots and go toe to toe with the American born country legends, it would be the abominable, the incomparable Corb Lund. Whether you’re talking about Corb Lund the songwriter, Corb Lund the singer, or Corb Lund the performer, he’s one of these five-tool musicians who can do it all. Growing up on a ranch in Southern Alberta, he’s lived as an authentic country life as any. Many American-born country artists could learn from Corb Lund’s appreciation for true country music, and the wit he instills in his music that crosses all borders and notions of taste. Corb Lund is the current King of Canadian Country. She isn’t just a pretty face and a short skirt. The ravenesque Lindi Ortega’s songwriting can rival that of the boys, and her US-born counterparts. A true throwback with a dark, neotraditional style all her own, she once told Saving Country Music, “I don’t care about money. I honestly don’t,” and it shows in the old soul approach to her music that takes into consideration creativity and self-expression above everything. If Corb Lund is the current King of Canadian country music, Lindi Ortega just might be the queen. If you’re looking for Canada’s equivalent of old school Hank Williams III or BR549, then look no further than Daniel Romano. But Romano is not a neo-traditionalist in the traditional sense. He’s not trying to regale the modern ear with a new take on the classic country sound. Instead he is like the method actor of classic country, carving out his niche by offering a strict interpretation of classic country’s modes with striking accuracy. It’s not a retro sound, it is a strict, methodical re-enactment. Everything fits the periodthe words, the instrumentation, the song structure, and it takes you back to a time when music still had meaning. The artistry of the Deep Dark Woods is astounding, and their ability to touch virtually the entire array of American roots music is what makes them special. Gothic, poetic Americana, Gospel, bluegrass, and strait-laced country elements like steel guitar, they are all interlaced harmoniously with a broody pall cast over everything for a cohesive sound and an immersing experience. They would be Canada’s current Americana band of note, being nominated for the 2012 Americana Music Awards “Emerging Artist of the Year” category. The fact that we don’t hear more about the Sadies on a daily basis is borderline criminal. This band whose nucleus is the two brothers Dallas and Travis Good is one of the most awe-inspiring assemblages of musical talent ever amassed under one band name in the history of country & western, or rock & roll music. Though they might be best known for backing up such big names as Neko Case, John Doe, Jon Langford, or Andre Williams, in both the recorded and live formats, they really shine when they simply let loose as their own band. The Sadies are like a controlled explosion, shocking you with how good they are, bringing mod style and stupid good musicianship to the country & western context. This band is so good and sprouted so many solo projects, it may be appropriate to call them a supergroup at this point. Frazey Ford, Samantha Parton, and Trish Klein started playing music together in tree planting camps in British Columbia. Nearly 15 years later, they’re one of Canada’s legacy folk country bands. Solo artist Jolie Holland once called The Be Good Tanyas home as well, and their excellent blend of roots and superb singing inform the band’s folk, country, and bluegrass influences. Samantha Parton recently was involved in a series of car wrecks that have left her unable to tour. Friends are raising money to help her out. Who are some other Canadian bands helping to Save Country Music? Dean Brody and Gord Bamford also belong on the list. Someday Norm Macdonald’s name will be on this list. He’s a good friend of Billy Joe Shaver and he said his dream was to write country songs. He said he’s written a good one but chickened out on mailing it to Shaver. Always thought Norm got the shaft by SNL when they fired him doing the fake news. He was much better than what they gave him credit for. Good list, I remember when Corb Lund was getting a little bit of play on GAC about 5 or 6 years ago. I’m going to have to start giving canadian country more of a chance. And just to clarify folks, this was not meant to be some complete list of Canadian artists, but a chance to highlight these six acts who I believe deserve more attention from the country music community. I encourage everyone to share their favorite Canadian artists so we can all share and discover new music that speaks to us. That is what this is all about. Checkout Jaida Dryer another canadian country singer with a great voice and southern drawl. She may be a little more towards the pop side but you just can’t beat her voice. I whole heartedly agree; Doug Paisley is awesome. Cowboy Junkies! Although at this point they’re a pretty well known band and they’re not exactly a 100% “country” band but regardless they’re brilliant. Fred Eaglesmith cannot be underrated or over looked and The Cowboy Junkies as well. Both of whom blazed a path for independent Canadian artists to develop fowllings in the states leading directly to Corb Lunds popularity in parts of the US among others. Gordie Sampson, from Nova Scotia, (I think) has written a lot of songs for the famous and not so famous…. like Jesus take the wheel, and many others. I really like his tune “sorry” you can see why they like him so much when they’re looking for a song with a melody, nice chords, and some decent lyrics. And thanks for noticing us. My favorite Canadian has to be Brock Zeman. RIYL Steve Earle minus the politics. Leeroy Stagger is another northern favorite of mine as well. Lots of fantastic suggestions! I’ll also toss in a recommendation for Field Assembly. I’ve been a big Corb Lund and Fred Eaglesmith fan for years and fortunately they both perform in the Los Angeles area at least once a year on average. My current favorite Canadian band is The Rizdales from the Toronto, Ontario area. Fronted by a married couple with the real last name of Dunphy I have no idea how they cooked up The Rizdales as a stage name? Combining classic honky tonk and early 60’s pop music styles is a mean feat but they pull it off. Both of their recent albums “Radio Country” and “How The Marriage Ended” combine razor sharp wit with fine music scores and proudly proclaim on the labels they were recorded in “Hi-Twang”! (lol) Unfortunately it seems Texas and SXSW in particular are about the only places they tend to play concerts in the US. They are truly an undiscovered gem for fans of traditional and unique country music styles. He may be a bit more folk but I would recommend Del Barber. I’d never heard of him until a couple of months ago when he opened for Kelly Willis & Bruce Robison at City Winery in NYC. A real songwriter and on his latest “Headwaters” it really is coming together for him. Great list…thanks. another one of my favourites is Elliott Brood. x2! Probably one of my favourite musicians at the moment. Whitney Rose and Kayla Howran. Also, the legendary Blue Rodeo!! I’ll add a +1 to Tim Hus and Fred Eaglesmith – actually, I recall this: http://www.youtube.com/watch?v=wWsYOoSJCDI being featured on the SCM message board a long time ago. I’d add Ian Tyson to the list as well. George Canyon is also good. I remember George Canyon from the second season of Nashville Star, I haven’t heard anything about him since but really liked his style then. I have to respectfully disagree with Andrew and Ben, though. Dean Brody is TERRIBLE, and is akin to a poor man’s Brad Paisley and/or Kenny Chesney with his stupid beach/vacation songs, and cookie cutter theme crap. I change the station if I hear this guy’s music coming on. His music is sorely lacking in depth of any kind. To a lesser degree, Gord Bamford and George Canyon are on the “poor” list for me. Both guys seem nice enough, but honestly, they’re so vanilla and boring that if you put their songs on back to back, I’d have a hard time telling who’s who. Also, I think it’s Bamford who sounds like he has a mouth full of marbles when he sings. Now don’t get me wrong, these guys are both community minded, and do A LOT for charity, which I respect very much, but their music is so vacuous and unnecessary that I just can’t understand the appeal. We have a very similar problem to you guys in the States right now with country music; we have a bunch of people the Canadian industry are pushing as “stars”, but in reality, they are not, not by a long shot. If these acts ventured out into the US market, they would get chewed up and spit out, simply because there are lineups of other acts with more talent than them, waiting in the wings. The lack of any originality of many of these acts is staggering. Without local country radio flogging these guys due to CanCon, they’d flounder. I listen to local country radio and hear a mix of mediocre acts like Brody, Bamford, and Canyon, mixed in with other “new country”, and shake my head. 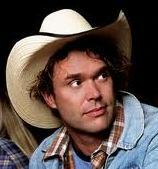 Guys like Corb Lund, whom I don’t mind, and who SHOULD be more publicized (not to mention he has actual musical pedigree) get occasional play, while the others that I’ve mentioned (and some I haven’t), get played hour upon hour, while the hosts sing their praises and shill their concerts. I’ve TRIED to enjoy Canadian country, but for all intents and purposes, it’s a pale imitation of US country, and no amount of trying to sell the Canadian listening public a bill of goods will change that. Trigger, you should do a list of Crappy Canadian Country acts….there’s a lot of them! I second the last sentence. I always wonder how Candian country radio meets its CRTC Candian artist quota every hour, and a list like that would probably be the answer. I want to like Dean Brody, since “Brothers” was an excellent debut single, and I’ve also enjoyed “People Know You by Your First Name” and (in spite of being American) “Canadian Girls.” However, his last few songs have, as you said, been bad imitations of Kenny Chesney. I wish the station would play Corb Lund, since he gets completely neglected by radio just like quality independent or roots-based acts do not receive airplay in the United States. One more thing that I’d like to add is that I get the impression that the radio personalities at the Windsor station don’t seem interested in promoting the Canadian country acts as “stars,” merely meeting their CanCon quota. They rarely acknowledge the Canadian artists that they play, which is part the reason why I can’t even name that many Canadian country artists, but they will gleefully mention how cool they think it is that Taylor Swift said “hi” to a girl she saw at the mall wearing her T-shirt. Matt M, your comment about them not worrying about shilling Canadian acts in Ontario is interesting. I’m from Alberta, and they shill these guys nonstop. My local radio station goes out of their way to shill these guys, in fact. I’m legitimately puzzled as to why the difference in perception of Canadian Country acts across Canada. I guess Alberta is viewed as a “country stronghold” of sorts, and maybe that’s why. Hell, they even have an Alberta Country Music Association Awards Show, which I can only speculate is probably a steaming turd, wherein these acts get together and slap themselves on the back while they celebrate their mediocrity. I’ve been unlucky enough to hear snippets of this show, where nobodies like Brody, Canyon, and Bamford are glad-handed by the show runners and the idiots in charge, giving the illusion the awards they have won matter outside of the province. Which they don’t. I really hate to be so negative about the state of Canadian Country Music, but it truly has given me zero reasons as a fan to be interested, engaged, or excited about the drivel they release. Once again, our industry is a pale, paltry shadow of our neighbours to the South. It’s going to take some better artists being recognized, like the ones listed above, to change this. Until then, the best thing fans can do is not buy third-class efforts from guys like the ones I’ve mentioned above, like “I Wanna Be Kenny Chesney When I Grow Up” Dean Brody. I couldn’t agree more wrt the sorry state of Canadian Country Music, however, Daniel Romano and “Come Cry with Me” is an exception. This CD is a classic! Before you go saying something that stupid, maybe do a little bit of research first. Brody, Bamford and Canyon all do most of their own writing, they’ve even co-wrote for each other. Along with those three, there are other talented song writers coming out of Canada. Paul Brandt does a lot of his own writing especially on his singles, and Deric Ruttan not only does his own writing but has contributed to many “American” hit singles. I think I need to have the whole Dean Brody is a Kenny Chesney wanna be thing explained to me because I’m not seeing it.. Brody’s last couple singles “Bounty” “Dirt” “Underneath the Apple Tree” and “Bob Marley” are hardly the of sand worshiping style of Kenny Chesney. Besides I have yet to see Dean walking around without sleeves and sans shoes. The only positive thing about your post is that I agree, Truck Yeah was atrocious. Once again, April, yeah, these guys do their own writing, but the themes and “new country checklists” of things they need to name heck to make the listening audience happy appear in their songs as well, particularly Brody’s, and those themes palely imitate their American counterparts. What is his (DB’s) fascination with going on vacation, the beach, and Bob Marley? Seriously. The tie with him and Chesney is thematic, IMO, and he’s like a watered down KC, singing songs about similar stuff, because he sees KC has made a career out of this stuff, and the public is buying it. He may not LOOK like Chesney, but he sure as heck is treading the same path as the guy. His new song “Bounty” is him playing with an audio effect, and is poorly written. After hearing it, I’m happy he and “Shannon” skipped the border and left! I am truly puzzled by his popularity. Gimmicky artists like Brody will eventually run out of stuff to write about, I think. Bamford recorded an album of classics? I’m torn about that one. On one hand, great that he’s acknowledging the true roots of country, but on the other hand, cover albums reek of “I don’t have any new ideas for an album, and the record company wanted something, stat”. I dunno. I guess we just see Canadian country differently. I see a bunch of mediocre singers desperately flailing around for relevance, helped by a law that enforces their music getting played. You see it differently. Differing opinions and all that. The major point of my post was to point out to an American (Matt M) that no, we don’t need “Nashville-Based” song writers to do our writing for us. And like it or not these artists are successful here in Canada all on their own. And yes, it is a difference in opinion. Yours seems to be one of cynicism and mine a little more open and optimistic. Kenny Chesney may have headed down an annoying path but his early stuff is worth a listen, as is Brody’s. My biggest problem will remain the American artists who continue to record the same songs written differently by the same song writers, as with what ZB said about Luke. And sorry did I say Bamford? I meant George Canyon if I did, he has two classics albums..
Great list! Lots of real music being mentioned here. Have to agree with Canuck too. Dustin Bentall, Ridley Bent, Romi Mayes, The Divorcees, New Country Rehab, Josh and Greg Cockerill, the list goes on…. One correction though, Lindi can only be the princess as the true queen of Canadian country is The Queen of Vancouver Island herself, Carolyn Mark. No Blackie and the Rodeo Kings? The boys in the Band would be proud. I’d just like to point out that Dallas and Travis Good of The Sadies are the nephews of Brian and Larry Good who make up The Good Brothers, a classic country band that still plays in the tavern in my hometown. Paul Weber is another authentic Canadian country artist, who owns said tavern in Maryhill. I think he was nominated for a Juno award in the 80’s, back when those awards meant something. Ah yes, the Good Brothers! While they never made it huge, these guys at least have some country cred and are good listening. Good on The Goods! Kendel Carson. She’s the best! The issue with most of the comments above for me is this….where is the line between what we believe is country and what is Americana. I’m sorry, but Lindi Ortega is NOT country, she falls into the Americana category. All of the artists you have in this list are Americana/Roots. Canadian country radio lumps them all together unlike the US. Saying Lindi is the queen of Canadian Country music makes me sick. The last time I saw her perform she was so freaking stoned she could hardly remember her lyrics….hardly what I want representing my country as “queen”. Her first record was far superor to the second, which lacks the songs in my opinion. I do agree even the talented singers in Canada often fall short in the song category. There is after all, a much larger pool of songwriters here to draw from. Gord Bamford is country and should be on your list. Fred Eaglesmith is one of my favourite writers/performers, but he is also Americana. Jaida Dreyer is a great young writer. I have seen her live show and was impressed. What she does live is far more country than the record she released. Canada has made huge contributions to country music in the past and will continue to do so.. North of the border is no different than the US when it comes to having a plethora of artists than can’t sing, can’t write and have nothing original about them. The wannabe Kenny Chesneys will come and go while the real artist/writers will quietly leave their mark. A lot of people have been wondering why I didn’t put Fred Eaglesmith on the list. If I had expanded the list out to 7, he would have been the one I added. The reason I didn’t is because I’m not sure if I would really classify him as country. Some of his stuff is, and he certainly has country sensibilities, but I didn’t want to get into the very argument you pose here about what is country, and what is Americana. Also, you have to cut off a list somewhere. The point of lists like this is to try and broaden people’s musical knowledge and give some select artists some recognition. It is not meant to be a complete encyclopedia of current artists. As for Lindi, I would argue she is country. That is one of my problems with Americana, is that their definition is so broad, they can pretty much claim anyone. I think Lindi is much more country than Fred Eaglesmith. You may have seen one bad show, but I saw her just a few months ago in Austin and thought she was great. Hey Trigger, while we’re talking about Canadians making good country music, did you get a chance to check out the Alberta Flood Relief Concert, where both Ian Tyson and Corb Lund put on outstanding shows? No I hadn’t yet. Thanks for the links! It’s my opinion that country music is sorely missing piano music from it’s modern repertoire. I stumbled across Devin Cuddy on youtube. He doesn’t play exclusively country, but you can hear the influence of honky tonk piano in some of his songs. I’d like to offer NashvilleCanuck guest list to my next show in his or her area. I’m not sure what show he/she saw, but I promise you I never smoke weed and perform. Its physically impossible as I lose my voice under the influence of marijuana. I’d love to know which show this was you speak of so I can tell you why it might have been a difficult one. Perhaps I was on an extensive tour with 6 shows in a row and I was exhausted. Anyways.. the offer is there. Guest list, you don’t need to pay and I will promise a lyric will not be missed. I’ll make sure NashvilleCanuck is made aware of your offer. I realize that this story is over a year old and that this comment might not get read by anyone, but I recently discovered this excellent site and I wanted to comment on this. I couldn’t agree more about Corb Lund. His songwriting is tremendous and witty and he and his band are excellent live. My wife and I have seen him three times (twice before kids and once with our young kids) and every show has been great! I get the sense that he really enjoys what he is doing and he’s not overly concerned with hits or radio play. He tells great stories through his songs and he has a great deal of respect for his predecessors and real country music. A couple of other people have mentioned Tim Hus and I just want to mention him as well. He has a similar sound to Corb Lund (they are good friends, I believe) and his songs are equally well-crafted and witty. I’ve never seen him live, but, judging on some youtube videos of some of his performances, he looks to be amazing live.